While Microsoft has already made a huge impact this week at the Windows 8 Surface tablet announcement, but hasn’t stopped yet. At Wednesday’s Windows Phone Summit, the all-new Windows NT core found in Windows Phone 8 is the same Windows RT core in Windows 8. Sadly, existing Windows Phone devices like the Nokia Lumia 900 or HTC Titan II won’t be upgradeable to the new OS because the kernel requires specific hardware as well as security functions. Microsoft also announced Windows Phone “7.8”, which will be on the current Windows CE kernel and be offered to existing devices. This means that those devices will get many features of the new operating system, as well as the homescreen redesign. So what does all this mean for consumers? We’ve already seen the first supposed Windows Phone 8 phones, and from those and all we heard we can draw some conclusions. According to the Verge, these devices from HTC, even the lower-end, all have at least dual-core processors, as well as chips which support NFC and LTE. This means that Windows Phones can be expected to offer superior hardware even in what would be at cheaper entry-level. For more info, check out the Verge’s post. 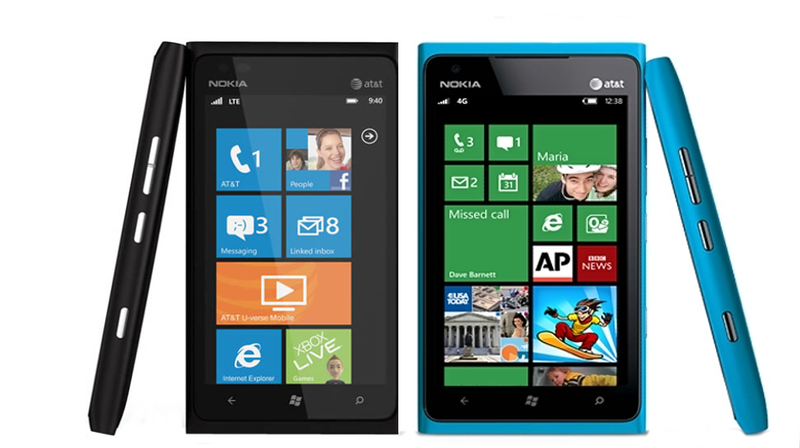 Below is a comparison of the Start screens of two Nokia Lumia 900 phones, one running Windows Phone 7.5 and the other, right, running 7.8. The difference is significant, and customizability has been seriously revamped. DirectX and Direct3D support, Havok Technology Suite (the engine which powers Halo, Assassin’s Creed, and Skyrim) as well as other gaming engines for a powerful gaming experience. “Wallet” app offers integration of credit cards, gift cards, coupons, and PayPal, allowing in-app purchases and supporting NFC payments. A variety of new theme colors along with the new Start screen. Live tiles can be made quarter tiles, regular tiles, or double tiles (there aren’t any in the picture). HD Screens including 1280 x 720 (720p) and 1280 x 768 (720p and a higher pixel density) resolutions, as well as current 800 x 480. Over-the-air updates eliminates reliance on a PC. Integrate Skype and VoIP services, as well as developer access to this. Camera API which allows the camera button to be linked to other apps. Device encryption and secure boot. App “sideloading” (meaning you can install apps not on the market). Device “manageability compatibility” (we’re not sure what this means). Removable microSD support and management. Java in web browser is faster than the iOS 6 beta. That’s what we know so far, so of course we’ll be waiting to see the final product which Microsoft delivers. There’s also rumor of Microsoft making their own device, like they’re making the Surface tablets, but we’re not sure this rumor holds water. All-in-all, I’m impressed with Windows Phone 8, but in order to make a market impact, a lot more people are going to have to be impressed first. The following is an informative video, showing a brief history of Windows Phone, along with introducing the new Start screen. The entire Summit presentation from Microsoft is available to be viewed, coming in at about 2 hours long. There’s got to be more we missed, so check it out. Posted on June 21, 2012, in Technology and tagged gadgets, microsoft, Mobile, Summit 2012, Windows Phone, Windows Phone 7, Windows Phone 8, Windows Phone Summit, WP7, WP8. Bookmark the permalink. 1 Comment.